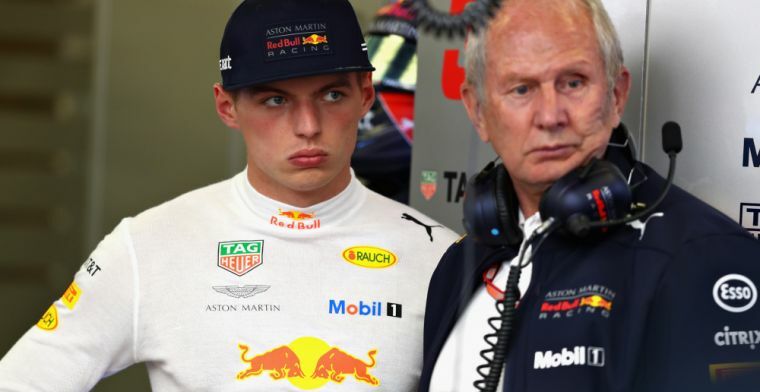 After just four days of testing, Helmut Marko seems confident that Red Bull is sandwiched between Ferrari and Mercedes. A lot of data is collected, but not enough to draw serious conclusions. And Marko worries the team might withdraw the wrong conclusions because of the weather. Marko has now stated Red Bull will close the gap between themselves and Ferrari by the time the teams take to the track in Australia. Reports suggested the Honda engine wasn't running at full power because of vibrations. But since then, the Red Bull boys seemed to be left feeling impressed with their cars. Marko believes the team are missing two-tenths on Ferrari, but confirms upgrades coming for the second week of testing will change things. This extra speed boost will be found on the chassis, rather than the new Honda engine. "The two-tenths that we miss on Ferrari, we have to find on the chassis side. [It'll be] gone by Melbourne at the latest," Marko told Auto-Motor-und-Sport. Despite being warmer than last season, the temperatures in Barcelona differ so much to realistic F1 temperatures. Barcelona was basked in sunshine, yet Marko continues to suggest it's a "nightmare". SEE ALSO: Sky Sports confirm full line-up for 2019 season! "It's a nightmare. The thinner tread is supposed to minimize graining, but at low temperatures, the tires graze anyway. We have to be hell-bent not to draw the wrong conclusions and to let ourselves be guided in the wrong direction in vehicle development," Marko added.